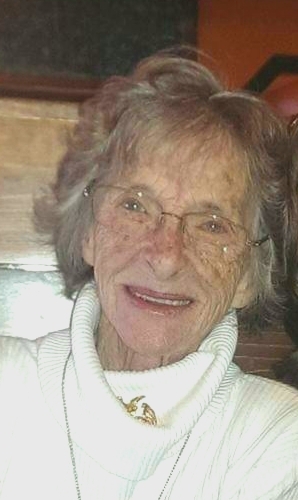 Norma Jean Kuciejcik, 81, of Gillespie, IL, died at her residence on Wednesday, March 27, 2019 at 10:51 pm. She was born June 17, 1937, in Gillespie, IL to Michael Luketich & Elizabeth (Bain) Luketich. She had worked at Macoupin County Mental Health and Sloan's 5&10 Variety Store. Norma Jean had a good life, she went a lot of places, traveling the country, visiting family and friends. She enjoyed family gatherings and outings with ' The Good Ole Girls.' She loved camping and fishing out at the Lake. Norma enjoyed being outdoors and putzing in her yard. She loved animals and having Tea Parties and collecting tea stuff. She was a great mother, grandma, sister and friend. She will be truly missed. She is survived by her daughter, Gail L. (Jess) Remer of Gillespie, IL, son, Keith Kuciejcik (Companion, Valerie Walker) of Alabama, grandchildren, Jessica (Tim) Reid, Jamie Remer, Jason Remer, Kelly (J.Q.) Halteman, great-grandchildren, Degan Scott Vogel, Zane Remer, Jacob Remer, Brenna Halteman, Quin Halteman, brother, Don Luketich, and sister in law, Carol Luketich. Norma was preceded in death by her parents, daughter, Monica Kuciejcik, grandson, Jeremy Scott Remer, brother, Mike Luketich, sister, JoAnn Semplowski and brother, Russell Dale Luketich. A Celebration of Life Gathering will be held in her honor on Sunday, April 28 at the Gillespie Civic Center from 1-3pm. Memorials are suggested to Gillespie Benld Ambulance Service, Adopt A Pet or Wishes of the family. Anyone wishing to send an online condolence may do so at www.kravanyafuneral.com. Kravanya Funeral Home, Gillespie, IL is in charge of the arrangements. There's still time to send flowers to the Celebration of Life at the Gillespie Civic Center at 1:00 PM on April 28, 2019.